This month’s Book Club is very timely. 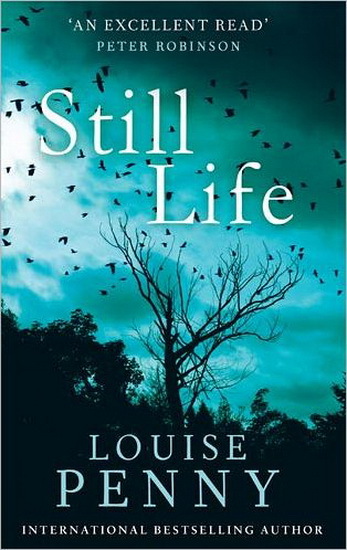 The book being discussed is Still Life, Louise Penny’s first novel, in which she introduced us to Inspector Gamache. Today her latest novel, The Nature of the Beast, is released giving the club a wonderful opportunity to discuss the entire series. Since I was a child I’ve dreamed of writing and now I am. Beyond my wildest dreams (and I can dream pretty wild) the Chief Inspector Gamache books have found a world-wide audience, won awards and ended up on bestseller lists including the New York Times. Even more satisfying, I have found a group of friends in the writing community. Other authors, booksellers, readers – who have become important parts of our lives. I thought writing might provide me with an income – I had no idea the real riches were more precious but less substantial. Friendships. There are times when I’m in tears writing. Not because I’m so moved by my own writing, but out of gratitude that I get to do this. In my life as a journalist I covered deaths and accidents and horrible events, as well as the quieter disasters of despair and poverty. Now, every morning I go to my office, put the coffee on, fire up the computer and visit my imaginary friends, Gamache and Beauvoir and Clara and Peter. What a privilege it is to write. I hope you enjoy reading the books as much as I enjoy writing them. Join the Book Club on Thursday 27th August 1pm to 3pm in the Program Room.